Lately, in an attempt to curb some of my anxiety, I’ve been trying to develop some sort of a schedule for keeping track of my to-dos, cleaning, meal planning, errands, etc. I’ve found that the longer my to-do list and the more cluttered the house, the more I start freaking out inside. These things are by no means the only cause of my anxiety, but they do lead to a great deal of tension and frustration. I know that if I could get these items into some sort of order, either in my head or on paper or in an app, at least one source of my anxieties would be relieved. The flip side of this issue is my tendency to go to the other extreme, where I become a perfectionist and freak out if things aren’t done in absolutely the best way. I have a hard time finding a balance, where things are done and organized but they aren’t perfect and I’m still ok with that. I recently read a book that my friend gave me for Christmas, and the author did a great job of hitting on this issue. She emphasized having your house in “C+” order. She stated that “C+” is “good enough”, and during the incredibly busy and overwhelming time of motherhood, we should aim to be at a “C+” level and be ok stopping there. Our efforts that would be required to get the house at an “A” or “A+” level should be instead going into our husband, our children, our friends and family, and our spiritual growth. 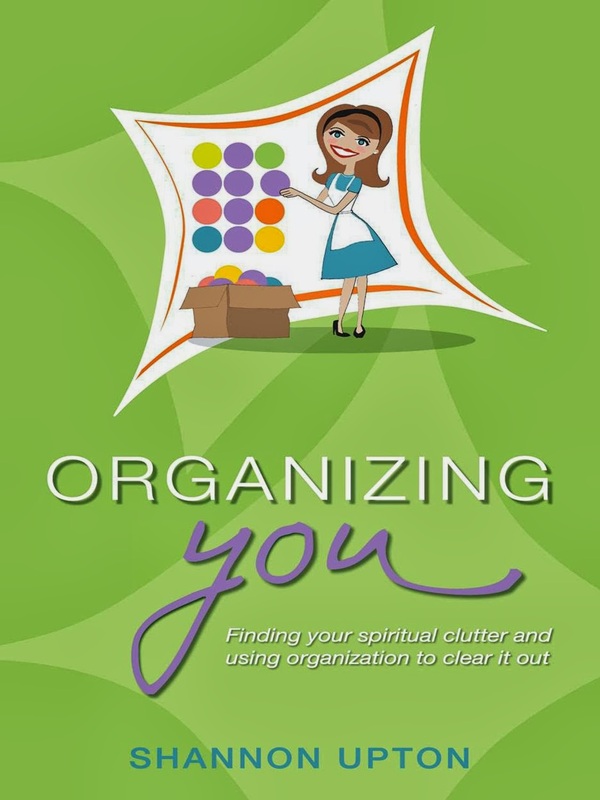 The book is “Organizing You” by Shannon Upton. I highly recommend it for any overwhelmed mommas in need of organizing your life, setting up a chore schedule, and learning to clear the clutter of your mind so you can focus on the more important issues of your relationships with your Savior and others. I've adapted her suggested methods involving a binder and paper to instead use apps on my phone and Google docs, because electronics work better for me than a giant binder, but I still learned a lot of great ideas from her. I also think the book would be great for women who are not married or who do not have children - I think you could gloss over the sections that refer to life with a husband and children, or even learn to apply the lessons to other areas of your life. I’m also in the process of reading some books by Sandra Felton, who is one of my favorite authors of books for clutter and housework self-help. She’s great at getting to the core of the issue, which is usually centered around my mindset and thought processes rather than the house or to-do list itself. So I’m wondering, does anyone have any recommended books or blogs that have really helped you in managing your household and to-do list? What are your methods? Am I the only one who gets overwhelmed? I'm an organizer by nature, but even then, there are parts of my life/house that are NOT organize. I'm slowly making some progress on a few of them this month. My FAVORITE organizing blog http://iheartorganizing.blogspot.com/ just introduced a new contributor who just wrote one of my favorite articles to date about phone apps for organizing - something I definitely need and will use! I downloaded a couple new apps after reading her suggestions. Check it out if you haven't seen it: http://iheartorganizing.blogspot.com/2014/01/uheart-organizing-paper-eliminating-apps.html ... I'm hoping to for lots more app info from her in the future! I don't know if you need anymore books to add to your stacks, but Kathi Lipp has some great stuff.